viewer, they presented a 3-D image. The photo is from 1861. News of Daguerre's invention reached Naples almost immediately. The February 13, 1839 issue of Il Lucifero, a scientific journal, announced it, and it was picked up right away by more popular sources. 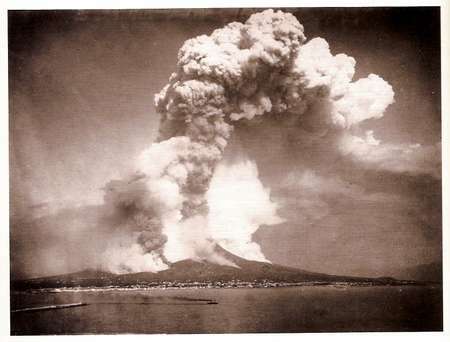 The first actual photo produced by the process in Naples was by physicist and mathematician Gaetano Fazzini. The first presentation in Italy of the new process was made at the Naples Academy of Sciences on November 12, 1839, by Macedonio Melloni (1798-1854), the first director of the Mt. Vesuvius geological observatory. (It was a good run-up to 1845 when Naples hosted the Congress of Italian Scientists.) Melloni presented Fazzini, some of his photographs and explained the process. They were mostly scenes of still life since the exposure times could be as long as 10 minutes. The presentation and subsequent demonstrations were successful—that is, Fazzini's daguerrotype photos were oohed and aahed over for their fidelity—but there was no great rush to open up commercial photography studios using either the daguerrotype process or the slightly later one called calotype or talbotype (for the inventor, William Henry Fox Talbot (1800-1877), which, unlike the daguerrotype, produced photographic negatives from which one could make copies. Some onlookers even gloomily predicted the “end of painting”. (Hardly. They say that even as late as the 1860s in the United States, many photographic glass plates of the Civil War were so little valued that they wound up as panes of glass in greenhouses!) Photography was still a complex professional activity, decades away from the personal camera. (That was probably the Kodak Brownie in 1900, a very inexpensive user-reloadable point-and-shoot box camera. You shot a roll of film and then had to send the camera with the film still inside it (!) to Kodak and wait for them to send you back your camera and developed photos!) 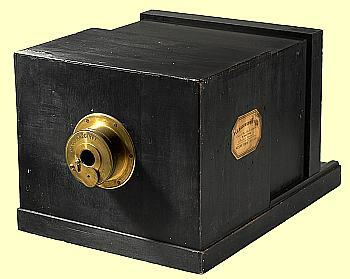 By the 1860s, daguerrotype technology had largely been abandoned in favor of techniques that took advantage of advances in lenses and chemistry to shorten exposure times greatly. In the 1850's Frenchman Aphonse Bernoud and Alfred Nicolas Norman produced both daguerreotypes and calotypes, Bernoud largely of landscapes, while Normand used his photographs for his architectural projects. The history of early photographer in Naples as capital city of its own kingdom (that is, before the unification of Italy in 1861) was, thus, largely in the hands of foreigners, many of whom were attracted by the kingdom's important standing on the so-called Grand Tour. There are countless etchings and paintings—indeed, entire schools of etchings and painting from 1800-1860 of Vesuvius, the Bay, Pompeii, Herculaneum, etc. This new thing called 'photography' eventually stimulated both locals as well as foreigners. 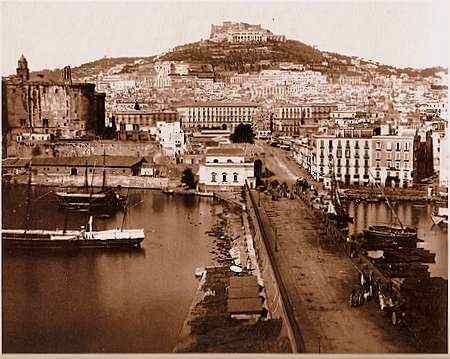 By the 1860s and 1870s, with newer advances in technology, photographing Naples had arrived, as the images on this page show. Both large photos are by Giorgio Sommer (see that link for information on him). The stereograph at the top is anonymous. dagli albori all'epoca moderna. Sciptaweb, Naples, 2006. ISBN 8889543477.